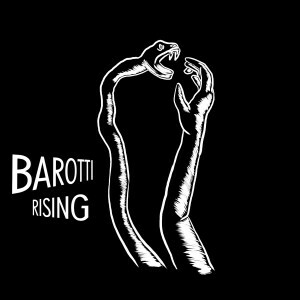 Barotti’s debut album out now on Gomma. Barotti is a musician and contemporary multimedia artist based in Berlin. Doing urban sound installations, performing arts and experimental music. On his debut album Barotti is opening up a new dimension in the vast field between contemporary classical and electronic music. Armed with iconic analog gear of the 1970s, a hand-picked group of high level classical string and horn players that were recorded between Marocco and Berlin. “Rising” stands firmly with one foot in the same mood as Woodkid and Sohn, and the other foot dipping into the past 200 years of classical music, resting in a lukewarm cocktail of Funkstörung and James Blake. An amazing and unique work. A soundtrack full of fantastic futuristic sonic fairytales. Epic, electronic and symphonic.